Vanuatu Agriculture Minister explains the need for education on healthy diets for farming families keen to satisfy demand for export agriculture products like kava. A Crawford Fund ‘seeing is believing’ visit is currently underway in Vanuatu for the Pacific Week of Agriculture. We are supporting a visit by AAP journalist Shae McDonald to talk with senior international and Pacific Island decision-makers on food and nutrition security and efforts underway by Australian institutions and researchers to build resilience in managing post-disaster recovery, climate change and agricultural conditions in the Pacific. Shae is filing for AAP news service and she is being accompanied by the Fund’s Director of Public Affairs and Communication, Cathy Reade. 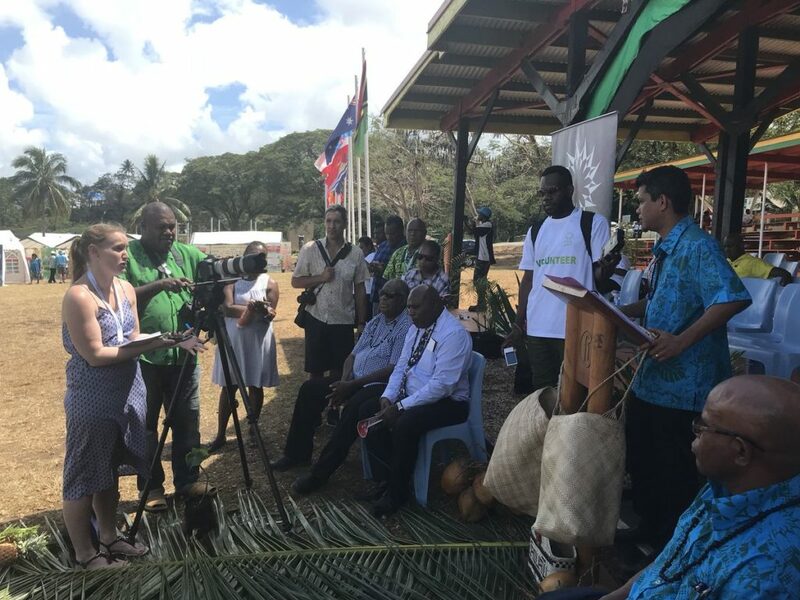 Initial interviews on the trip were arranged with the Vanuatu Minister for Agriculture, Matai Seremaiah Nawalu, and the UNFAO representative for the Pacific Islands and a report was published in The Australian here. 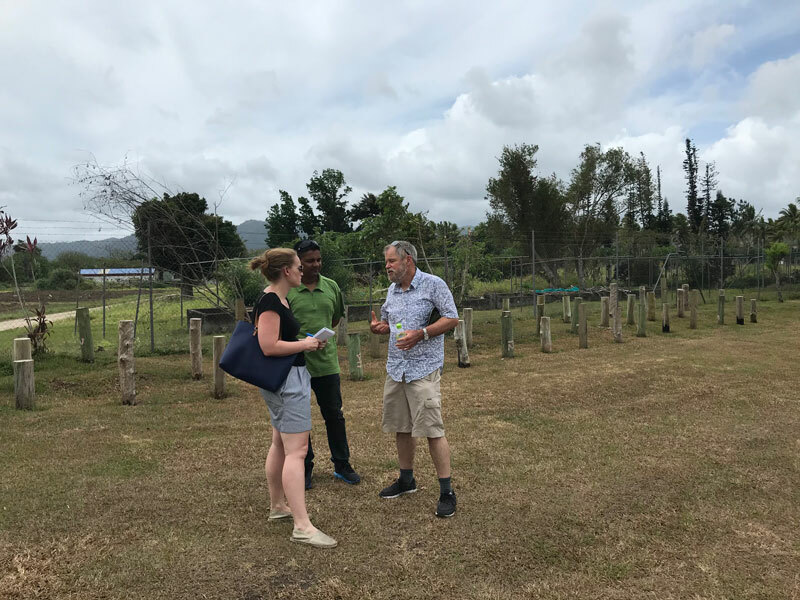 Since then, Shae has been able to speak to a range of Australian research managers with the Australian Centre for International Agricultural Research (ACIAR) and Pacific Island project staff on work across horticulture, agribusiness and forestry. 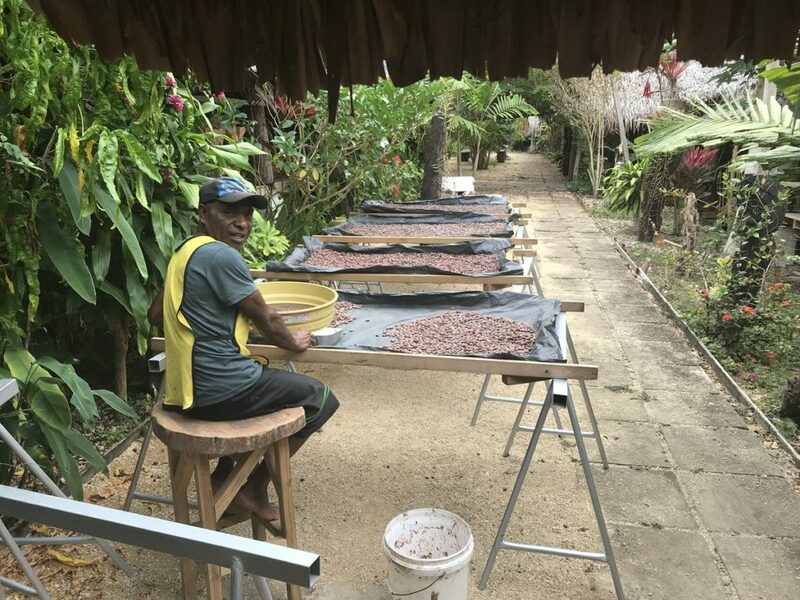 Results of the ACIAR project helping to develop award-winning single-island-origin chocolate. “It’s been particularly interesting to get out into the field and meet the people working on ACIAR projects, who will be the focus of Shae’s reports,” said Cathy. Shae’s further reports will be listed below in the week ahead. Further ‘seeing is believing’ visits are planned in the months ahead, including a visit by this year’s Crawford Fund Food Security Journalism Award winner, Brett Worthington from the ABC. Brett will be travelling to CIAT in Columbia in mid-November.